Personally though it may seem like it comes easy to me to shop for everyone on my list, truth is, its not. I do a lot of searching for the right or appropriate gifts this time of year on my list. I also love putting together several gifts in a gift basket or box. This year, I'm really into books. That's what's on my wish list, in case you were wondering (wink, wink) and that's really all I want this year, if you're looking for my favorite recommendations visit my Amazon store here, and you'll see other books you probably already love as well. Whether its family or friends or kids, research and great bargains is everything. 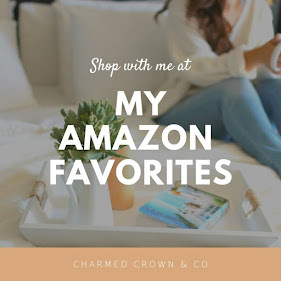 These are just some of my favorite stores to shop from in person and online .... Anthro, TJ Maxx, World Market, Pier1, Target of course and the list goes on friends! I also recommended a few holiday home decor favorites from Crate & Barrel which is another favorite as of lately. You can read that post here. I thought of everyone I could think of, the traveler, the beauty obsessed, the entertainer, the coffee lover, home decor enthusiast, you name it, a little something for everyone is here in this post. I could have gone a lot crazier by adding way more, believe me, I wanted to. But I didn't want to overwhelm you or myself. Hope this guide helps with your Christmas list and don't forget that this week is the last week to order online if you want your items before Christmas arrives. Also, Friday, December 14th is National FREE Shipping Day!! Did you know?! Take advantage and get your final items in your cart and get them shipped! Participating retailers only, of course. Rolly is sure going to be a hit this year! Along with so many of the other Disney Pillow Pet's but if you're interested in this particular cute guy, because ya'll know I'm a sucker for a cute pup any day, you can find Rolly, HERE! Overall I believe each of these items represents someone's personality, I picked them according to whom I know would appreciate each and every item selected, including myself. So I hope this is helpful for some of you, because these guides are definitely always so helpful for me, I love that most of you recommend your own as well, if you have any personal favorites, by all means comment below.